Following up from last weeks update concerning North East Link, if you have a spare ten minutes you can make it count *right now* – we have until 5pm Monday 18 September! See below for ideas, links & where to send your feedback. Read more: Zombie Project hidden in North East Link Option A? Please contact us (info@ycat.org.au) if you know of any upcoming local events, tips, corrections, contributions and please share this with fellow residents and local groups. 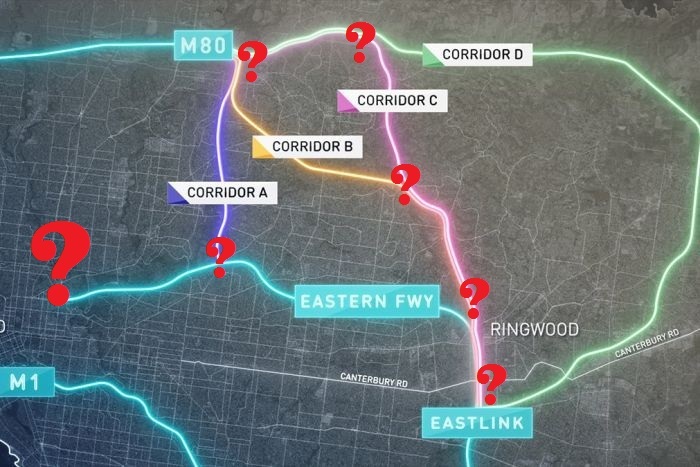 Of immediate concern to Melbourne’s inner north residents is the proposed Option A: the shortest, most direct and, almost certainly, the cheapest – connecting to the Eastern Freeway. More traffic into the Eastern Freeway – is this building the case, by stealth, for yet another version of the East West Link, to potentially connect with proposed West Gate Tunnel? Proposed Option A route is through environmentally sensitive areas (one of Melbourne “green wedges’) and will severely impact upon numerous homes, businesses and heritage areas in Bulleen, Bellevue, Balwyn North, Kew East. Possible removal of the Doncaster Rail reserve along Eastern Fwy and future East Kew and Bulleen Station sites. From Say NO to North East Link Option A​: There can be no tunnelled connection to the Eastern Freeway due to the steep grades (about 8%) that would be required to take a tunnel under the Eastern Freeway, then pop up and connect to it prior to Doncaster road. There can be no tunnel portal south of Bolin Bolin/Marcellin, as the flyover ramps would still have the same problem. All possible connections to the Eastern Freeway are above ground and involve property acquisitions in Bulleen/Balwyn North. Trucking companies will avoid the tolls and rat-run through our neighbourhoods. Oversized trucks and dangerous goods will still use Rosanna Road as they will be banned from tunnels. East West Link – It’s over, well for now, until some bright spark pulls the plans again out of a drawer somewhere. And here are forty+ documents comprising the East West Link Contracts Hours of reading fun for the whole family! Under the agreement, the State will purchase the companies in the consortium (‘EWL Project Co’) for one dollar. All assets owned by Project Co will transfer to the State. More in link. Today, as promised, Treasurer Tim Pallas also released the contract between the East West Connect consortium and the State of Victoria, which was signed by the previous Liberal Government on September 29, 2014. More in link.